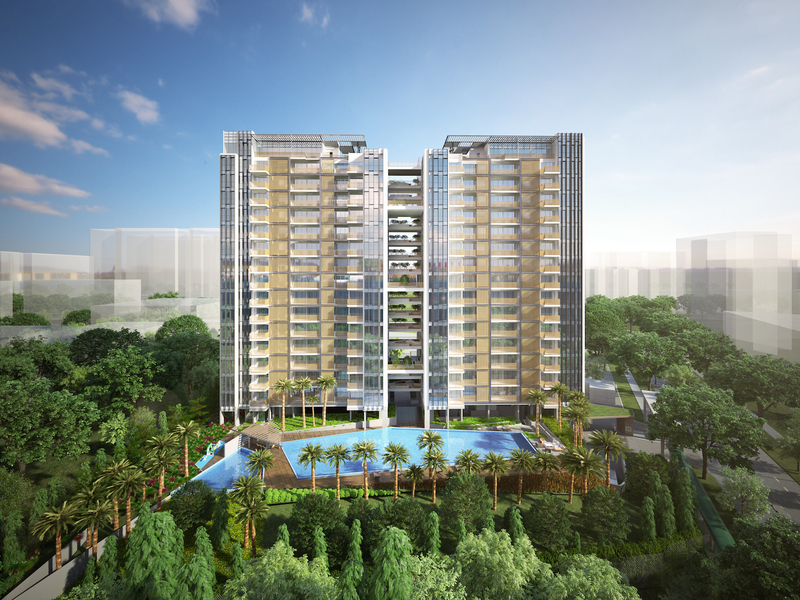 Tre Residences condominium at Geylang East Avenue 1 is a residential development by SL (Serangoon) Pte Ltd & MCC Land. 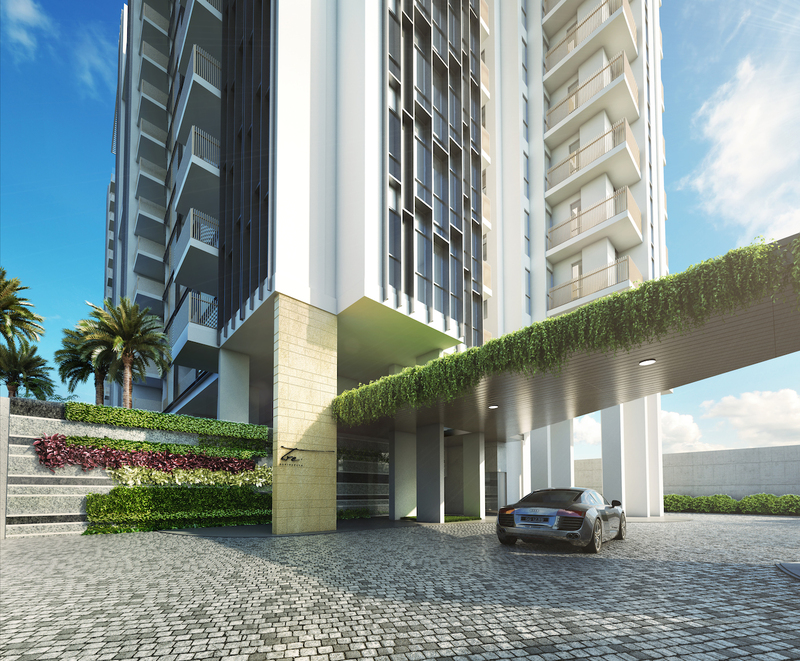 Tre Residences is located right at the door step of Aljunied MRT Station, linked via a sheltered walkway. Geylang East central location enable you to reach all Singapore iconic landmark within 18 minutes drive like Changi Airport, Sentosa, Central Business District (CBD), Singapore Sports Hub, Orchard Road, Marina Bay, East Coast Park and many more. Within 4 MRT Stations from Aljunied MRT Station, commuters can reach 3 different MRT Interchange serving up to 4 different MRT lines. The site is the first Government Land Sale (GLS) in the vicinity after more than 15 years and attracted strong interest with a total of 16 bidders. Investors can expect upside potential growth near to Tre Residences with Business 1 industrial site, commercial site and mixed development site up for tender in the near future. 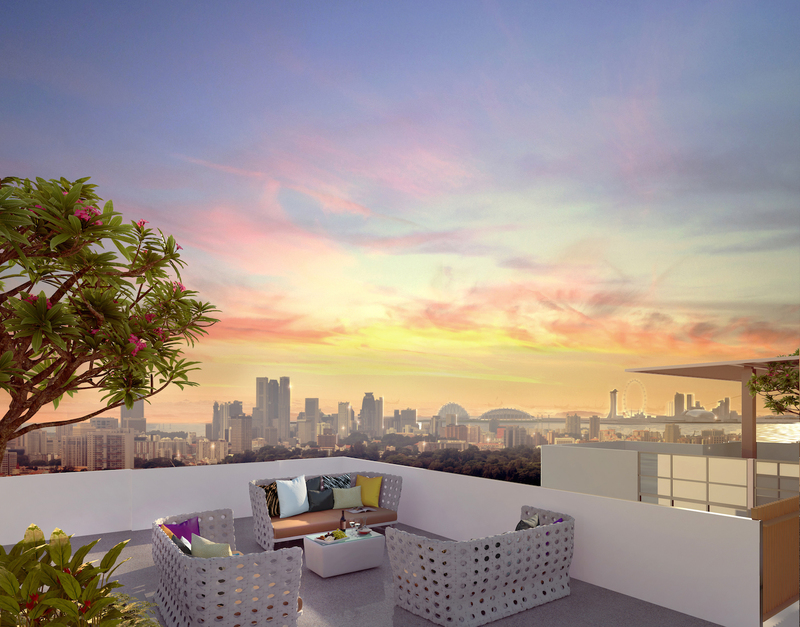 Future residents can also enjoy the stunning view of Marina Bay Sands, Singapore Flyer and Singapore Sports Hub from several different stack of the development. 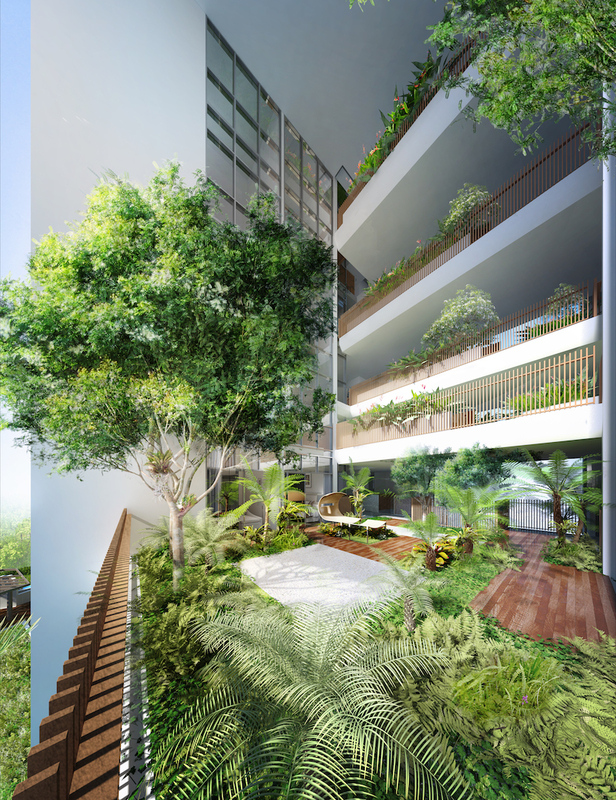 Tre Residences is surrounded by reputable local and international schools like Geylang Methodist Primary & Secondary School, Kong Hwa School, Eton House International School and James Cook University Campus. Shop for groceries and enjoy local cuisines at nearby Aljunied Market & Food Centre and Sims Place & Food Centre. For sports and lifestyle lover, Singapore Sports Hub and East Coast Park is only a short drive away. Paya Lebar Central, A Vibrant Commercial Hub – Paya Lebar Central is one of the key growth areas identified by the Government to be developed into a new and vibrant commercial hub. 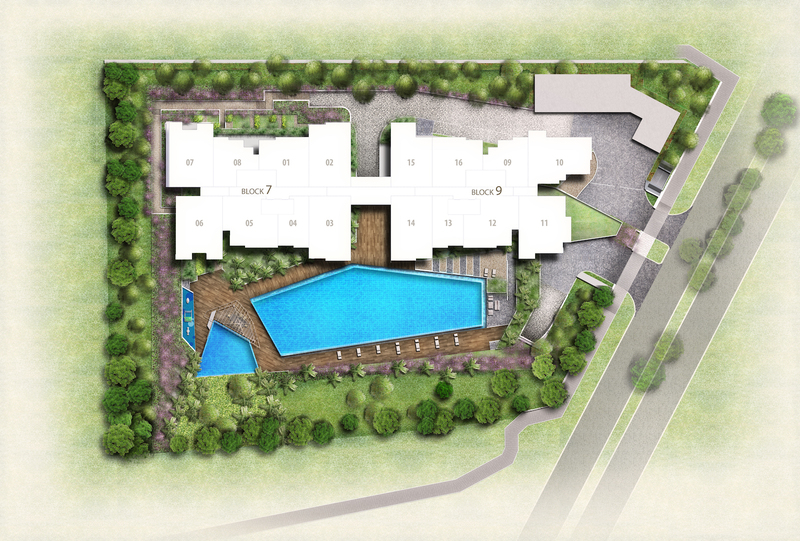 About 12 ha of land in the area is available for development. This translates to 500,000sqm of commercial floor space. A mixture of land parcel sizes will be available to cater to different commercial needs. New commercial developments will continue to come on stream over the next few years, offering exciting opportunities for new business and bringing jobs closer to homes. A new civic centre, Wisma Geylang Serai, will be developed within the Geylang Serai precinct by 2017 to house a mix of community, cultural and arts-related facilities. Continuing Education & Training Campus East – A Gateway for workforce, from rank-and-file to professionals, managers & executives (PMEs) to progress in their careers. A hub of high-quality and best-in-class CET providers, clustered under one roof, that leverage each other and connect with a wider network of providers around the island. An Employment Exchange for employers to meet their manpower needs and for workers to pursue career and professional development. A One-Stop Centre integrating career coaching, training, assessment and career services. MCC Land (S) Pte Ltd is a subsidiary of Metallurgy Corporation of China Ltd listed in Hong Kong and Shanghai and has been in Singapore over 14 years. MCC Land (S) Pte Ltd is involved in the building of Universal Studios (RWS), Keppel Distripark and has developed and/or managed many other quality housing projects from BTO, to Executive Condominium to Private Condominium, such as The Canopy, The Nautical, Canberra Residences, One Canberra, etc. 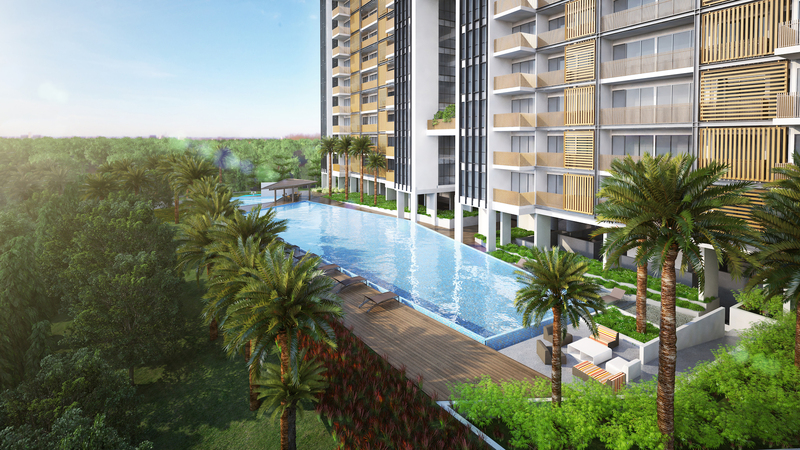 For more information on Tre Residences condominium, simply fill up the contact form below and our sales representative will be in contact with you shortly!